AS the countdown to the 2015 elections draws near, President Goodluck Jonathan’s kinsmen have advised him to ensure that members of the Peoples Democratic Party in Bayelsa State are in one accord. The advice was from Bayelsa State-based, Concerned Bayelsa Elders (CBE), during a media briefing with some senior editors in Lagos on Saturday, on the ill-wind that is threatening the party in his state. The elders said they were moved by the love they have for President Jonathan, whose wife, Dame Patience Jonathan, they claimed, has continued to sow seeds of discord among party members for her personal interest. In a speech, the group’s leader, Elder John Ebeletimi Wilson, said: “Nigeria’s President, Goodluck Jonathan, who is our brother, ought to be coasting home to an easy election victory in 2015. But he is not so sure, as it stands today. The visibly angry CBE leader’s worry is that the main opposition, All Progressives Congress (APC), is poised to cash in on the seeming overbearing attitude of Dame Jonathan, whose role in the state PDP is anything but commendable. According to Mr. Wilson: “This may sound ironical, but as it stands presently, except something urgent is done, APC may not know that their best ally is Chief (Mrs.) Dame Patience Faka Jonathan, the all-conquering wife of the president, who literally transverses the corridors of power in her distinctive gait and retinue of aides. Mr. Wilson said that a quick analysis of the bad press received by the president reveals that over 60 per cent of the negative reports in the mainstream media have links to the actions and pronouncements of his beloved wife. He explained that on the social media, posts relating to the Jonathans were ever trending in different categories. “They include jokes, politics and security, as well as the economy and even religion in a ratio of 8:2; while 80 per cent of such are attributable to Mrs. Jonathan, a paltry 20 per cent goes to Mr. President,” he said. Mr. Wilson noted that in Bayelsa State, the governor’s tenure will not end until February 2016, “yet, the atmosphere is as charged as if the elections are imminent,” he said. 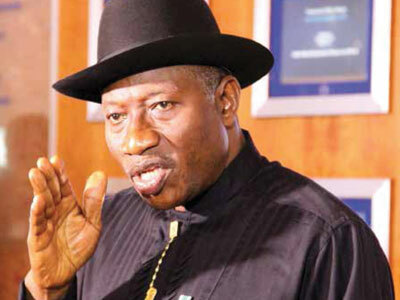 “The reason they (Bayelsans) gave is that Mrs. Jonathan is allegedly at war with Governor Seriake Dickson, for reasons they cannot understand, more so as Dickson has remained one of the most loyal to the president, just as he has within three years transformed the state in areas of infrastructure development and security that have placed the state as an investors’ haven. Mr. Wilson said the irony was that as the governor digs in, the political class in the state has become fragmented, owing to the First Lady’s activities. 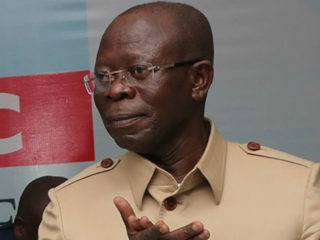 “Due to this unfortunate scenario, some people are already hedging their bets by aligning forces with Mrs. Jonathan, while pragmatic Bayelsans remain steadfast in the belief that a bird in hand is worth more than two in the bush, thereby casting their lots with the governor who is firmly on seat, and on ground,” he said. To compound matters, a radical, vociferous and committed youth group, Bayelsa Youth Vanguard (BYV), led by Ebi Johnson, is allegedly determined to confront the First Lady, vowing to resist her visit to the state, especially on the planned February 5, PDP rally in Yenagoa. This, the elders said, represents the anger and mood in the state, as for the formidable youth group, the only way out for Mrs. Jonathan is for her to change her tactics and allow peace to reign in Bayelsa. Thus, on the state of affairs in Bayelsa politics, Mr. Wilson said: “There is a popular saying that my enemies’ enemy is my friend. 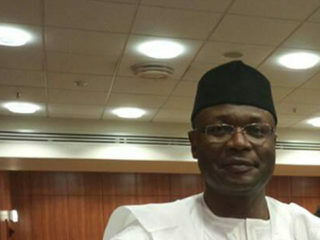 This has given room to Governor Dickson’s political adversaries, as they appear to be gaining supports from Abuja, not minding their party affiliations, thereby paving the way for opposition parties to have a foothold in the hitherto overwhelming PDP state. “Loyalty is now a password and it has led to an upsurge with candidates challenging the status quo under the banners of other political parties against the supremacy of PDP in the state. “All these are to the consternation of Dickson’s teeming supporters, despite the incumbent’s achievements that should stand him in good stead for re-election because, not even his enemies can deny the fact that he has made a bold difference infrastructure-wise. 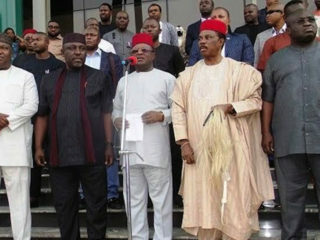 The concern, according to Wilson, is to avoid the Rivers State experience, where the president wife’s Ijaw kinsmen are still dazed after being schemed out of the PDP governorship ticket, by virtue of Mrs. Jonathan’s open support and endorsement of Nyesom Wike, an upland candidate, thereby denying them of a governor for 24 consecutive years. “The riverine people feel betrayed because it was largely due to their agitation and subsequent militancy that the major tribes conceded the presidency to the minorities,” he said. “Our concern again is that, if President Jonathan is re-elected without a whole-hearted Ijaw support, unbridled discontent and agitation by a betrayed and an angry group may be difficult to contain. “And now that the president’s home base has been shaken to its foundation, it is therefore expedient, prudent and incumbent on him to act because, a stich in time saves nine.